The New York Giants fell to the Detroit Lions, 24-10. Giants fans looked aggravated and disappointed after the loss. The New York Giants struggled in Week 1, as they fell to the Dallas Cowboys to open the season. Odell Beckham Jr. didn’t play due to injury, and the team looked one-dimensional one offense, as the passing game was used more than the rushing attack. 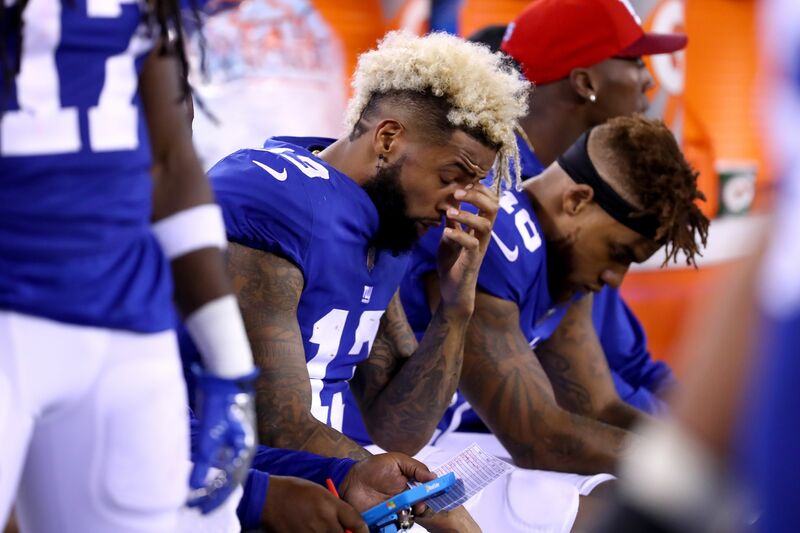 Week 2 didn’t see the Giants’ fortunes change, even with Beckham’s return. The team struggled from the start, with the Detroit Lions all over them. They allowed 138 rushing yards and ran for just 62 of their own. No receiver had a standout game and Eli Manning didn’t shine under the Monday Night Football lights. The Lions won, 24-10. This dropped the Giants to 0-2 and depressed plenty of fans at MetLife Stadium, their home venue. The anger and disappointment were all over their faces, as they were shown on live TV. It’s frustration that’s difficult to argue with, as the Giants haven’t looked adequate through two games. The offense looked invisible, while the defense hasn’t been able to carry the load. This trend can’t continue for the G-Men, who are suddenly in a bad position for not just Week 3, but the rest of the season. Getting out of the 0-2 hole is an obvious need for New York. They’ll look to turn this around in Week 3, with a game against the Philadelphia Eagles. It will be played at Lincoln Financial Field in Philadelphia, PA on Sunday afternoon. If the Giants’ troubles continue in Week 3, it will instead be a stadium full of satisfied Eagles fans. It’s a crucial game for both teams as they target positioning in the NFC East. Either NYG will fall to 0-3 and the Eagles go to 2-1, or both walk out at 1-2. Will the Giants remain a disappointing team in Week 3? Or will the fans cheer for a return to the win column?